The stems of herbaceous plants are soft and flexible and are found typically on annuals, such as most vegetables, plants that grow for only one season. 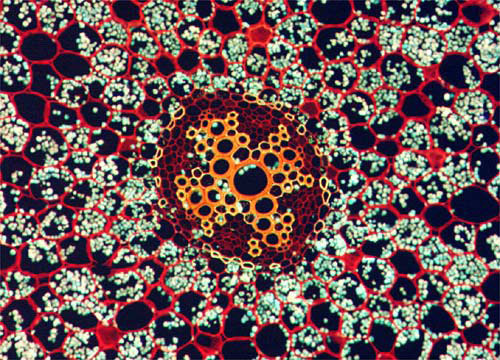 The herbaceous stem is composed of vascular bundles (xylem and phloem) arranged in a circle around a central core of spongy tissue made up of parenchyma cells, called the pith. Surrounding the vascular bundles is a layer known as the cortex, which varies in thickness from species to species. Surrounding this is a layer of cells called the epidermis.